For the 8th year running, the Starhead Thread returns for this years edition of FIFA. This thread is consistently the biggest and most popular thread on this entire forum, having attained more than 1 million views on each of the four last threads. This, combined with an ever increasing hunger from fans around this world, shows how highly fans of FIFA value the topic of player faces within the game. Since 2011, the Starhead Thread has been the mecca for news on player faces and a place for aesthetic fans to come and discuss all things face-like. Throughout the years, we have had a community of passionate fans. 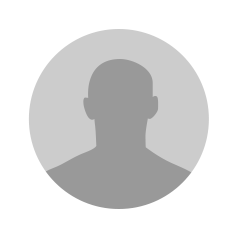 Some who have been members for years and others who are new to the thread. We are some of the most committed fans who play the game, but don't mistake our tenacity, it's purely a mutual love of the game and a desire for our voices to be heard. Our members are constantly looking for squeaks and leaks for any potential news from official teams and players. Naturally we will have new users coming into this thread for the first time, who are very welcome to become part of the discussion. 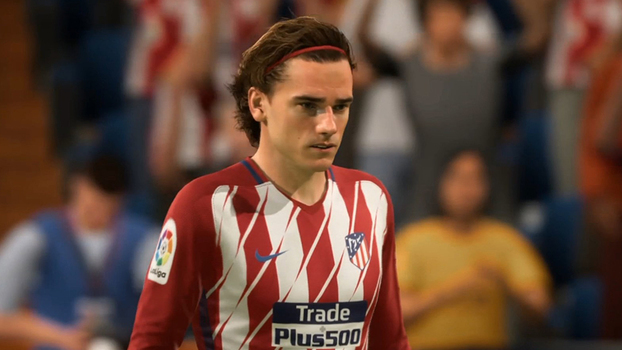 To you, we say that we are well aware that there's on-going problems with FIFA and that graphics can't be the main focus on the development team, but there is enough threads for these situations. This thread is committed to just one side of the title, something that has their own team for, so we ask that you respect our place and don't post for arguments sake. We respect your opinion but this isn't the place for it. Lastly, there are rules that are present in this thread that you can find below and will need to abide to. This thread is for player face discussion only, for discussion of everything else to do with FIFA 18 please use other more appropriate threads. Please use the Off Topic section to discuss PES. A small amount of PES face discussion is allowed in here but only for comparison purposes. Anything else/excessive PES face discussion will be removed. We understand graphics aren't everyone's cup of tea. Please be aware that we also want gameplay updates and fixes but this thread is solely just for starheads. EA have numerous departments working on different aspects of the game. There are gameplay-specific threads for you to air your thoughts. Please do not quote posts that include numerous pics, nor create quote chains. Please be respectful of everyone's opinion. Arguing for the sake of arguing will get us nowhere. With all that being said, don't be afraid to join in with discussion. Here's to a great year! For those of you who are not familiar with what a starhead is, it occurs when a team is dispatched by EA to a football clubs training facilities where they sit the team down in their makeshift studio to take a number of photos in which - over time - they are applied to a players' in-game face. The results are quite outstanding. when a player receives the treatment mentioned above. When a team sent by EA take multiple pictures with one camera to apply to players' in-game counterpart. when the players' in-game is designed by the graphics team without the aide of a photoshoot. 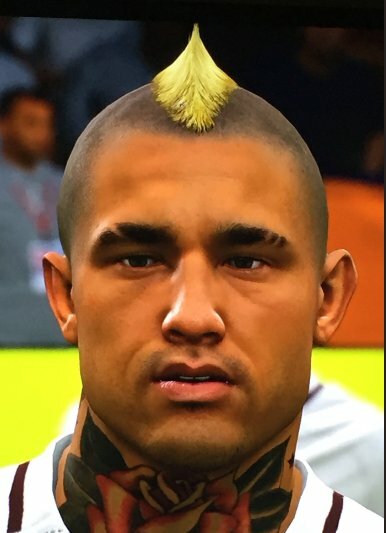 when a player has a in-game face that is modelled on them without going into great detail. VFL Wolfsburg, Schalke 04, Bayer 04 Leverkusen, TSG 1899 Hoffenheim, AS Monaco, Lazio, Fiorentina, Napoli, A.S Roma, AC Milan (rescan), FC Porto, Benfica, Sporting C P, Ajax, Feyenoord, PSV, Galatasaray, Fenerbahçe, Beşiktaş, Zenit Saint Petersburg, R.S.C Anderlecht. More National Team scans! Full Hereford scan for FIFA 19 please. And lots more custom faces for top players who are generic please.. Calling it now.....La Liga scan for FIFA 19. Having said that, I thought the same about the Bundesliga last year! I also can't see EA passing up the opportunity to scan Neymar considering they are partnered with PSG & hopefully they will scan the whole squad. Agreed, Neymar will be the cover star in the next year or two. Lads let’s not get our hopes to high, we’ve been expecting so much in past years just to be bitterly disappointed! Well, I would say that the generic faces of new Premier League signings in FIFA 18 will be done for FIFA 19 as is always the case e.g Mendy of City and Kolasinac of Arsenal. Would be good to have the new fifa mobile faces in FIFA 19, also if they can't/won't scan, have some customs of young talent in other leagues, like Simeone of fiorentina, Belotti of Torino and kluivert of Ajax. I will never knock any additions of scans but when I see young players being added from Premier League teams, 58 rated, I would love that time to be spent on updating scans of the BIG Premier League like aguero. Mate do You know or do You think is there any chance that someday we will see National League (I'm not gonna ask about National League South and North) in any FIFA game? I know no more than anyone else. Personally I think we will see it eventually but as for when I have no idea. I doubt it'll be any time soon. If we got the National League then we'd get North and South as well as it'd probably be all one license (like for FM). I don't even know if FM have an exclusive one (I've never seen any news article about that license). I do hope this is the year they can finally add bigger beards to generic players, my boy Atdhe Nuhiu looks awful. Let’s hope EA makes us happy for once. On an entirely different point, knowing that the EA devs are well aware of this thread (trust me, I know), and we are pretty sure they've at least made customs for a whole bunch of random yet good players on mobile, do you think we should make a list of players that need customs, like we did with the teams? I'd like for it to not get clunky, but this place is the most publicised place for it outside of players complaining on twitter so it could help them. It could also help them know what players to rescan if they're out of date. I think it's a good idea to create a list, however, we should all try and agree on the number of players as well as what players are on that list to avoid endless lists. Hopefully this would show EA which starheads the Fifa community wants based on demand. We could shortlist 40 players and settle on something like 25 for the final list by way of voting. I think is the best way for EA. They need to focus in custom faces by demand, just like they did on Mobile. 25? I'd expect 100+ quality customs for top players who still have generic faces in a yearly released game.. I'd want 25+ every few months on top of that as DLC like PES do..